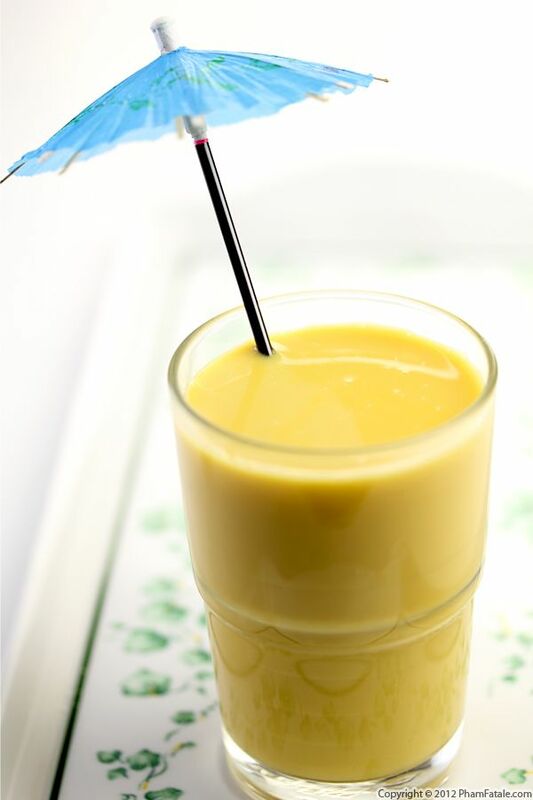 Combine the mung beans, bananas, yogurt, orange juice and ice cubes in a blender. Blend all the ingredients for about 2 minutes. While the mixture is blending, add vanilla extract. 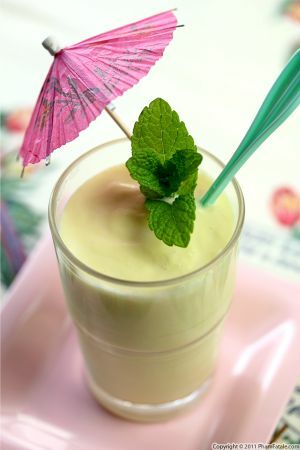 The consistency of the shake should be smooth and on the thin side. Pour into 6 small glasses. Finish with little umbrella for decoration. I get oranges straight from my garden and this season they're ultra sweet! I've been leaving fish bones at the bottom of the tree; I was told the calcium makes the fruit very sweet. 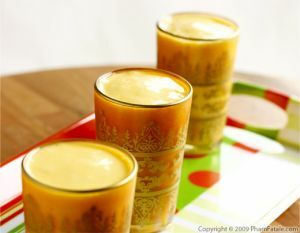 I prefer using canned mango pulp because the mangoes are picked at the peak of ripeness, which guarantees a consistent result. I buy it at the Indian store but you can also get it online. 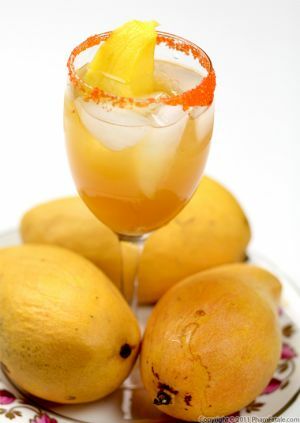 I prefer the Kesar mango variety, which is much smaller than the Alphonso kind and much sweeter. I didn't add any additional sweetener. The bananas and mango pulp were sufficient. I used store-bought Greek-Style yogurt. We usually make our own yogurt during the summer. It's easier than you imagine; making homemade yogurt doesn't even require a yogurt maker. You can click on the link for the recipe. If mung beans aren't appealing to you, you can replace them with 1 ounce whey protein powder in health food stores like GNC, or many supermarkets like Whole Foods. Published By: Jacqueline Pham on May 2, 2012.